April 11 -- With a thrill he will long remember, Titan Thomas, age 8, bagged his first this morning just off Highway 144 near his home in Ste. Genevieve County. 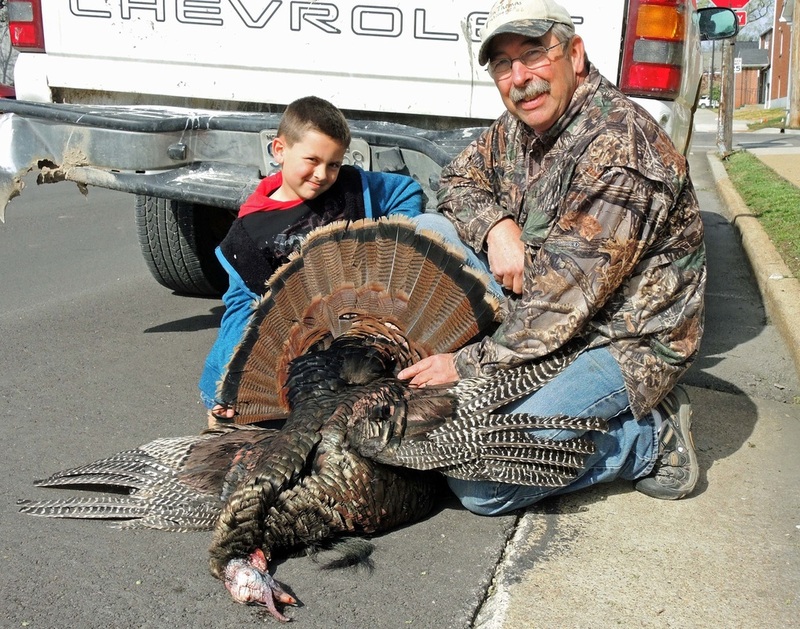 The son of Doug and Tonya Thomas, grandson of Steve and Debbie Thomas, and great grandson of Duane and Nadine Thomas, Titan took advantage of the two days set aside for the Youth Turkey Season authorized by the State of Missouri. He was accompanied on the hunt by his grandfather. Titan with his grandfather Steve Thomas proudly displays his trophy after his early-morning hunt. He used a 20-gauge shotgun to nail the bird.